At the end of 2014 a good friend was preparing for the arrival of her first baby. As seems to have become customary amongst our friends this meant that there was a baby shower to organise! I was part of a team of three, with much appreciated assistance from others. We needed to organise food, guests, games, activities and gifts. Naturally, I looked to my creative side (and Pinterest) for inspiration. There are a whole range of ideas out there. As this was not turning out to be the surprise we had hoped, our Mum-to-be had hinted at wanting lots of keepsake type activities. With this “brief” in mind I got crafty! 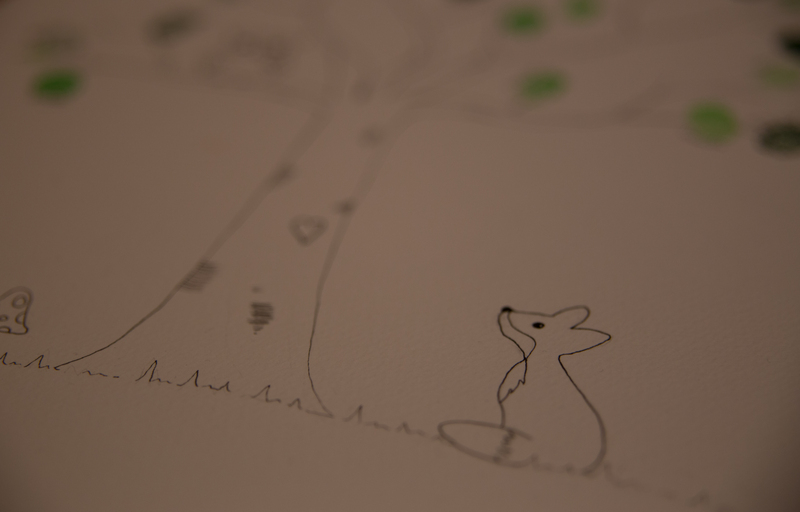 An idea I used for our Wedding, the fingerprint tree, seemed perfect for making a record of who came on the day. This coincidently also fitted perfectly with the theme for the new nursery! Armed with a piece of card and a fine liner I drew the tree ready to be adorned with everyone’s leafy fingerprints accompanied by their name. 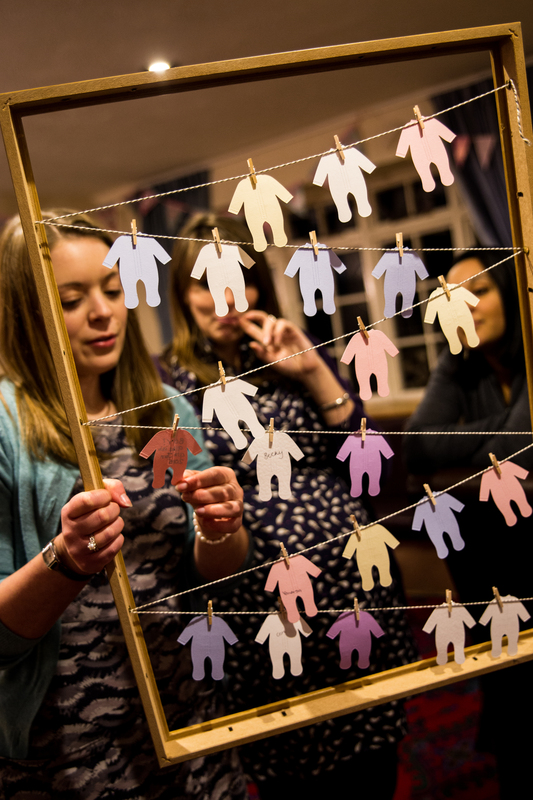 Combining a guestbook idea and a guess the date and weight activity I’d seen online I created a mini washing line within a frame with tiny pegs and die-cut baby grows. Each guest had a babygrow each to state their guess at the delivery date and weight – I do not, however, know who won following baby’s arrival, all I know is, it definitely was not me! Finally, I started some “Wish Stars”. I learnt how to make these a number of years ago whilst undertaking a challenge with Girlguiding. 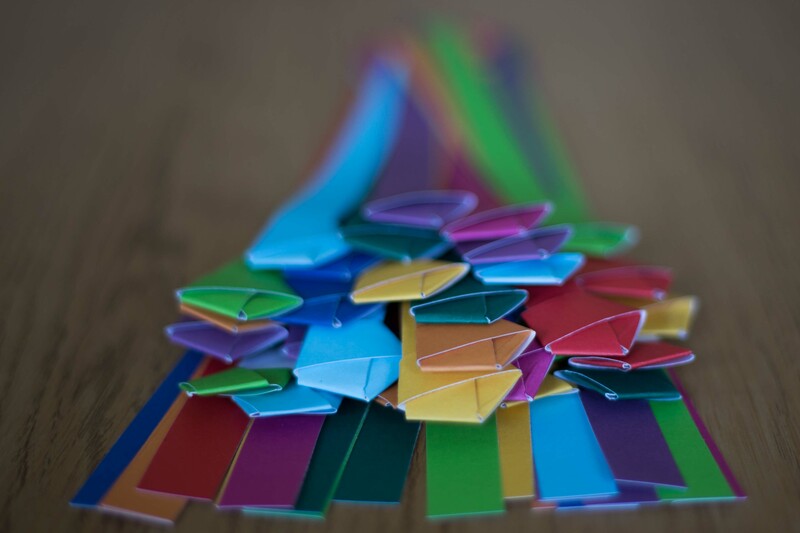 They are a really simple origami pattern created from a narrow strip of paper. Adapting the idea to the baby shower requirements, each guest was asked to write words of encouragement or advice before folding the paper into a star and popping it into a jar. I’m hoping that the stars are providing comfort and giggles to our New Mum in the early hours if and when she needs them.